If getting married in a Chapel makes your dream day, Elegant Weddings has solutions to fit your situation. She works with Churches in Golden, CO to create Affordable Elegant Weddings for Christian Couples. 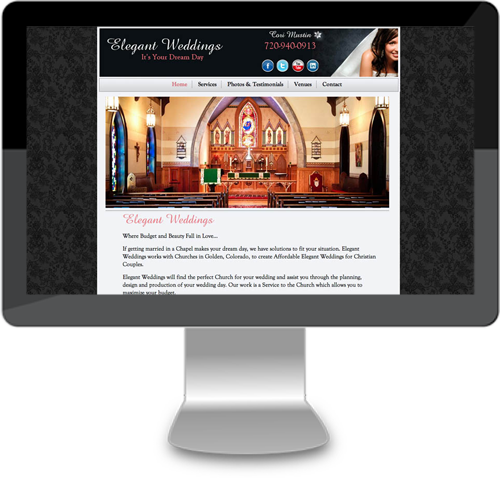 For Elegant Weddings, we created a custom WordPress theme.